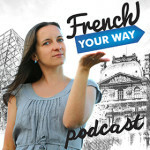 I have released “How to sound like a native French speaker“, my online course to help you with EVERYTHING you need to know about French pronunciation, intonation and rhythm. The idea for creating a dedicated course came from the many questions that students have asked me over the years and the recurring struggles that I noticed they were facing. For example, with the French liaisons, the nasals, how to pronounce the accents above some vowels, etc. Learning the sounds of the language as a whole. You must learn how to choose the right intonation for what you want to say and learn how to give the French language its unique rhythm and melody. The course covers years of learning (when it comes to correct pronunciation and intonation). actually believe that it is THE most comprehensive course you can find on this topic. 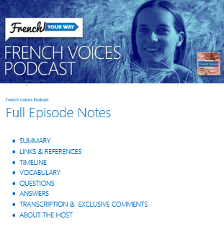 All lesson videos also available in audio format so you can listen again on the go! My free printable set of flashcards to help you become more familiar with the phonetic symbols used in French language. My free printable bookmark compiling the main combinations of letters which students of French need to remember and their pronunciation in IPA (International Phonetic Alphabet). A great quick reference tool which you can take anywhere! SAVE THE DATE! 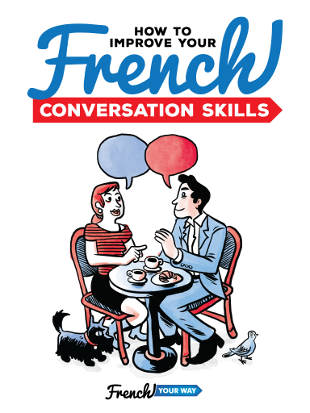 I’ll answer your questions about French phonetics live on Facebook on Saturday May 19th at 1.30pm (AEST) Melbourne Australia time… See you then? ?